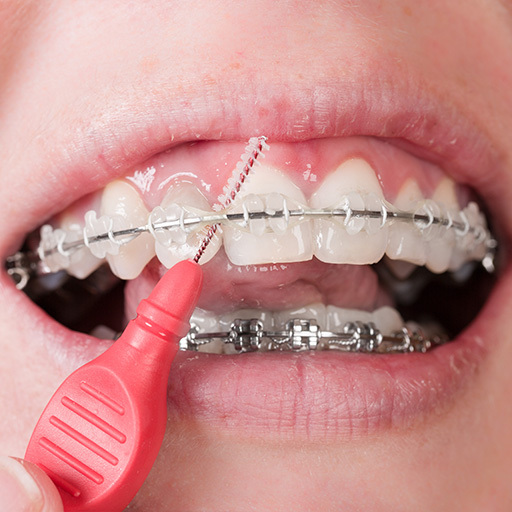 Orthodontics is the branch of dentistry that deals with teeth alignment to correct malocclusions (improper bites) and also the modification of facial growth. While orthodontic treatment has traditionally been recommended for functional reasons (i.e. to improve a patient’s bite), it is increasingly used for aesthetic reasons to improve a person’s appearance. Common problems corrected using orthodontic appliances include improperly aligned teeth, crowded or unevenly spaced teeth, protruding teeth, extra or missing teeth, misaligned jaws and bite problems. Alignment problems could also have arisen through accidents (e.g. jaw fracture), prolonged thumb sucking or pacifier sucking in older children, missing teeth, premature or late loss of baby teeth, tumors in the mouth, dental disease or improperly fitted fillings, crowns or braces. Chewing is the first step in digestion. If your teeth are crooked, you will not beable to chew your food properly which can lead to indigestion. Crooked teeth are hard to clean. Therefore, people with crooked teeth tend tohave more cavities and gum problems than people who have orthodontic treatment. Crooked teeth wear in ways that they should not. This puts extra stress on your teeth, gums and jaw, which can lead to problems later on.